« Toilet Seat Cushion for Tailbone Pain, Coccyx Pain, Coccydynia, Pudendal Nerve Pain, Pudendal Neuralgia. Many people with coccyx pain find that couches are terrible for sitting, because even with a cushion the cushion just sinks into the softness of the couch and your tailbone still ends up contacting the sitting surface. 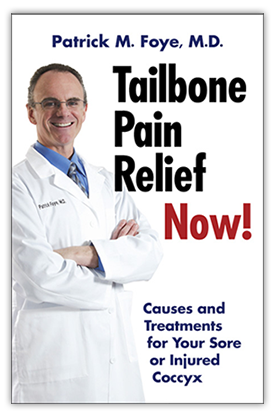 So, many people with tailbone pain will avoid couches or sofas. Some people with tailbone pain will use a firm-plastic-shell type of cushion, since even if it sinks down the shell maintains it’s shape including the indentation creating a gap space below the coccyx. Relaxobak and BackJoy are two manufacturers that make these “shell” types of seats.